Nov. 24, 2014 | LITTLE ROCK — In recognition of his contributions to ground-breaking translational research and his care of thousands of patients with multiple myeloma, Bart Barlogie, M.D., Ph.D., has been named distinguished professor of medicine and pathology in the College of Medicine of the University of Arkansas for Medical Sciences (UAMS) by resolution of the University of Arkansas Board of Trustees. This rank is reserved for a very small number of faculty members who have made nationally recognized advances in the medical sciences and who have given exemplary service to UAMS over many years. Of the thousands of UAMS faculty over the years, only nine have ever been promoted to this rank. 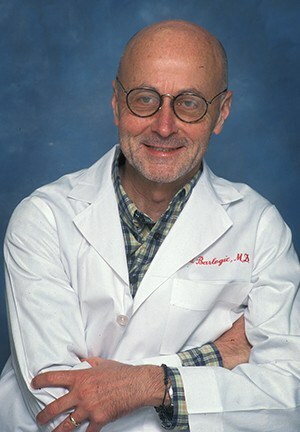 In addition, Barlogie has been awarded the title of distinguished clinical scholar in residence in further recognition of his key role in clinical research that has resulted in a doubling of the expected survival rate for newly diagnosed patients with multiple myeloma, a plasma cell cancer of the bone marrow. He is the first UAMS faculty member to be so designated by the UA board. As founder and former director of the UAMS Myeloma Institute, Barlogie’s reputation has led patients from all over the world to travel to UAMS to be treated at the institute. He chose to step down as director in June to focus on clinical care and research, concentrating on those patients who have a more adverse prognosis based on sophisticated molecular analyses, of which he was a leading developer. Born in Germany, Barlogie earned his medical degree from Heidelberg University and a doctorate from Max-Planck-Institute for Medical Research. After postgraduate training in Germany and at M.D. Anderson Hospital and Tumor Institute in Houston, he came to UAMS, where he founded the multiple myeloma program in 1989. The Myeloma Institute is an international leader and treats more patients with multiple myeloma and related diseases than any other facility in the world.